"Latin-American rhythms has been part of my life since I have use of reason. I remember to listen boleros, son cubano and salsa at home when I was a child. My first connection to jazz was also trough latin jazz music. 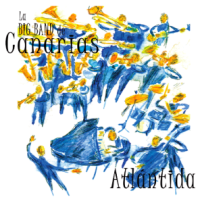 With this project, I tried to explore the Latin-American sounds from a contemporary jazz point of view, with some of the best latin & jazz musicians from the Canary Islands. Some of them are really close friends and are part of who I am right now. Such a pleasure!" "This is probably one of the best jazz albums of the year". Juan Claudio Cifuentes (Radio Nacional de España).